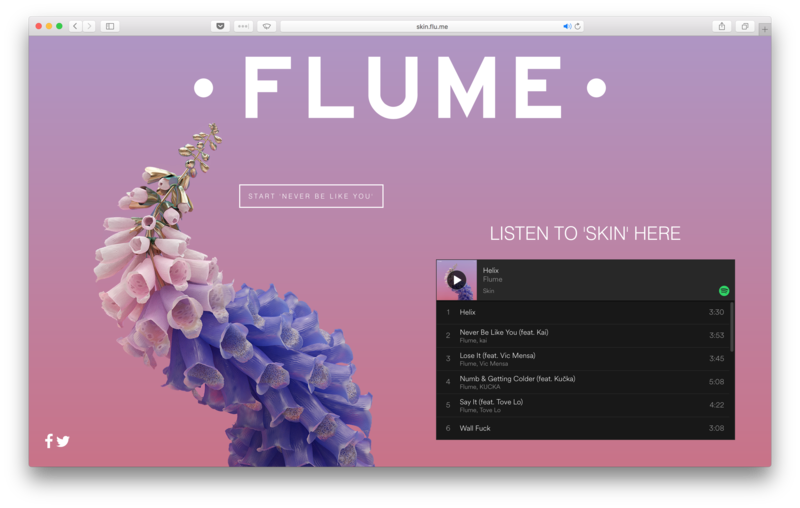 A series of two interactive promotional websites for the Grammy award winning “Skin” album by Flume, made with Cassie Tarakajian. You can watch him play with it here. The first experience was a promotion for the release of the single “Never Be Like You”. 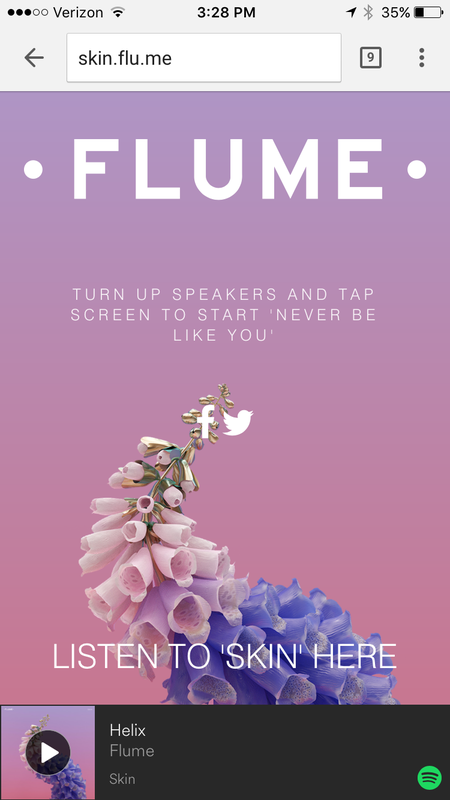 Using the artwork of Jonathan Zawada, we created a web app that allows the user to play the chorus of the song by either touching the flower petals, or using the keyboard. You can play with it here. The project was re-skinned for the release of the single “Say It”, which can be viewed here. 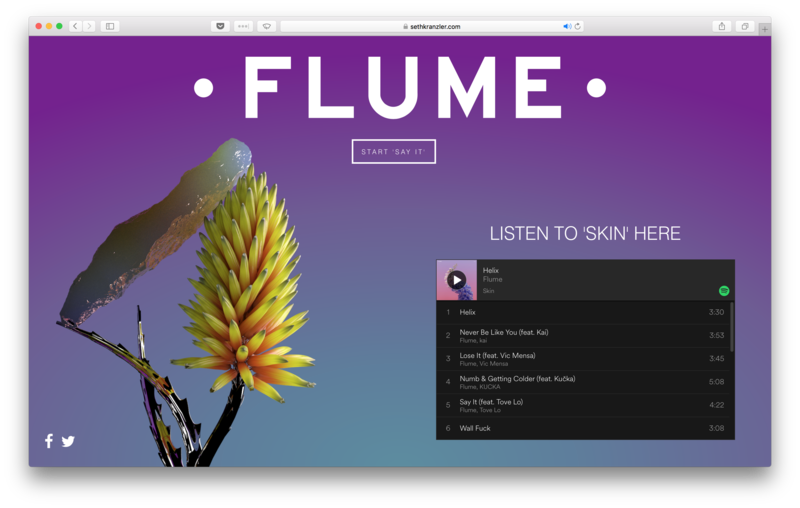 In addition to the interactive web apps, we also created a Spotify Homepage Takeover. For 24 hours, anyone who opened the Spotify app would see our interactive ad. It was viewed by over 80 million people within the first 6 hours.